The comity of the Haitian Customs Agents association (Association des Douaniers Haïtiens - ADH) gave the authorities 8 days notice last week before they stop working once the deadline is reached Thursday 05 October 2017. They want 80 percent increase in salary for the all Customs employees and a "particular status" for all the Customs agents in the country, a spokesperson said. "Customs contributes greatly to collection of tax revenues that makes up the government's annual budget and yet the employees and agents are not getting paid enough," the spokesperson continued. 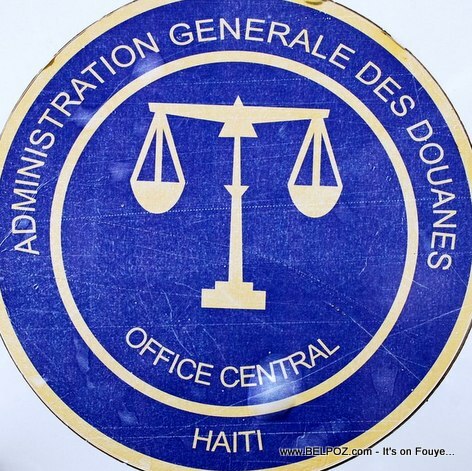 A Haitian customs agent receives a miserable monthly salary of 17,000 gourdes, something that cannot respond to the needs of the agent, he said. « Haiti Grève : Labor Union leaders Divided, is there a strike in Haiti today or NOT? Haiti - Employe La Douanne menase pou kanpe travay si you pa jwenn yon augmentation salaire disit Jeudi 5 Octobre 2017 la.